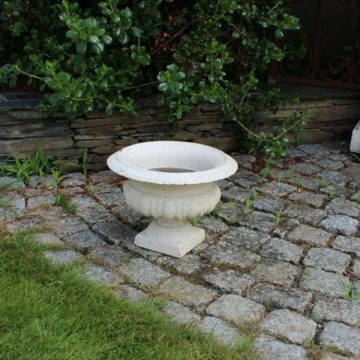 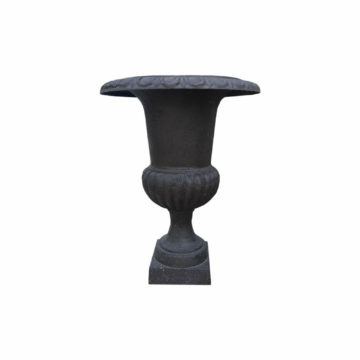 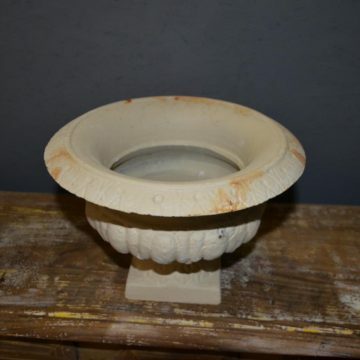 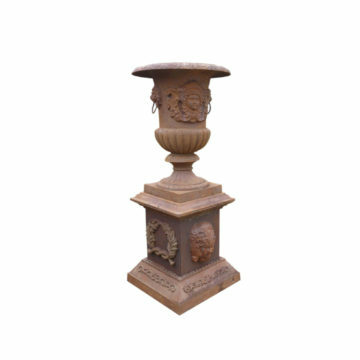 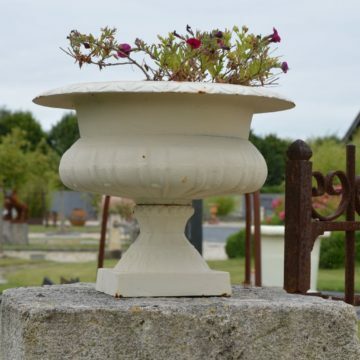 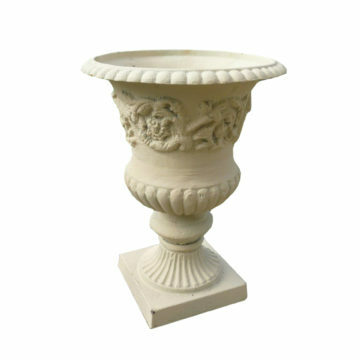 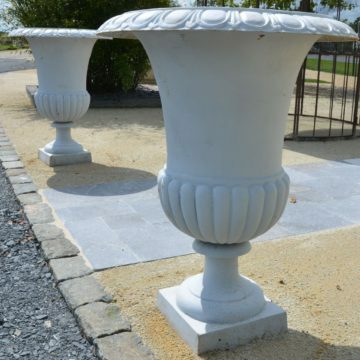 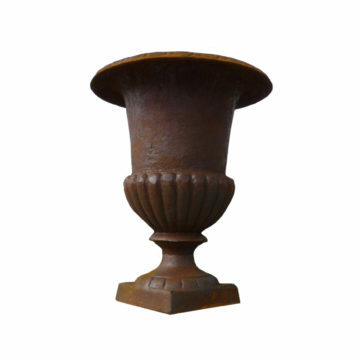 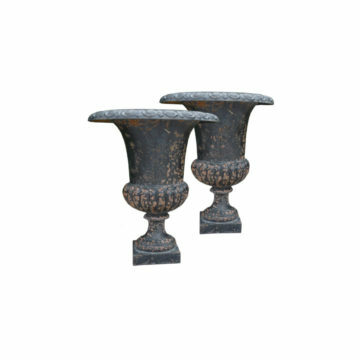 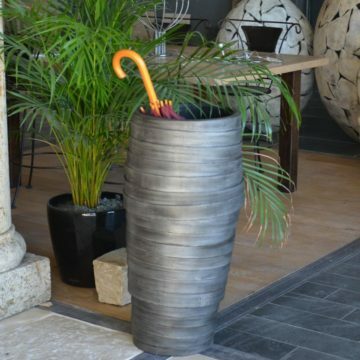 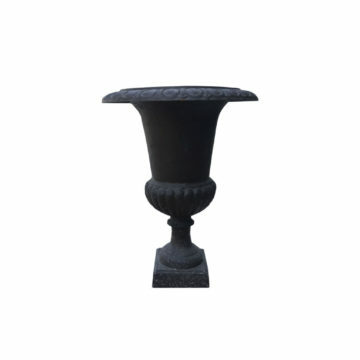 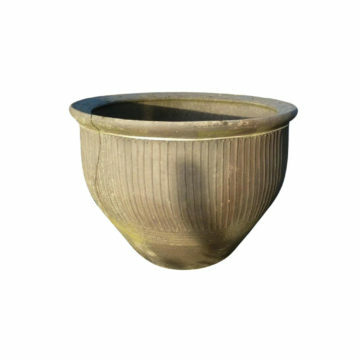 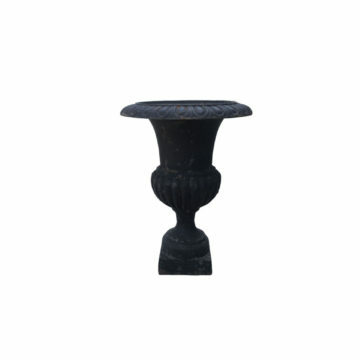 Discover our selection of antique and reproduction vase and urns made of cast iron, stone or pottery. 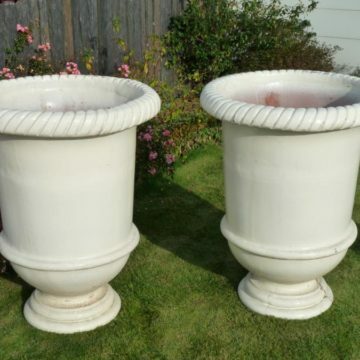 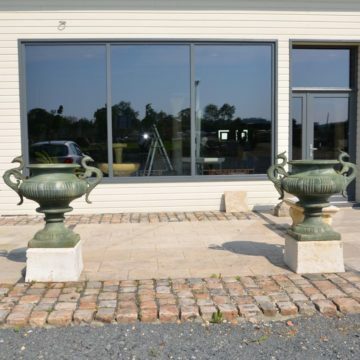 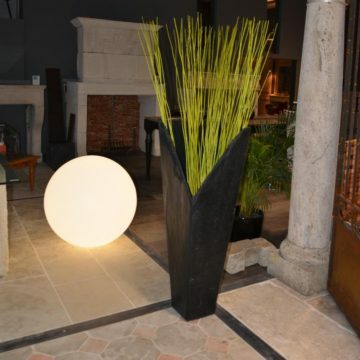 See in particular our Medicis vases in different sizes. 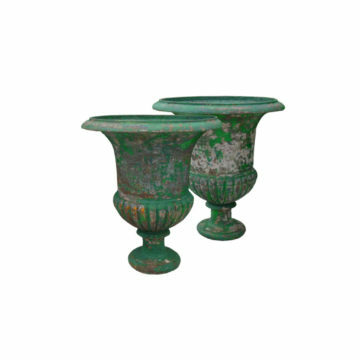 Ours’ are new or recent cast iron interpretations of the famous marble Médicis Vase dating from the 1st century AD and sculpted in Athens, now in the Uffizi Gallery in Florence. 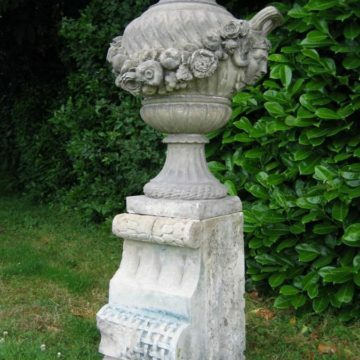 Described by Wikipedia: “Standing 1.52 metres (approximately 5 feet) tall, with a gadrooned everted lip, it has a deep frieze carved with a mythological bas-relief that successfully defies secure identification: a half-draped female figure Iphigenia seated below a statue of a goddess on a high plinth, restored as Diana, with heroic warriors on either side, perhaps Agamemnon and either Achilles or Odysseus standing to either side. 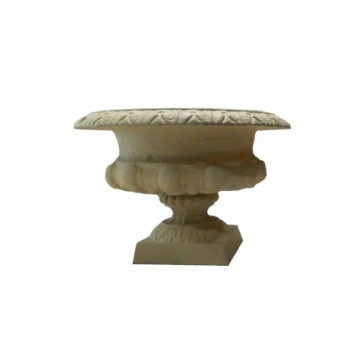 Two fluted loop handles rise from satyrs’ heads on either side of the acanthus-leaf carved base, and it stands on a spreading gadrooned base on a low square plinth. 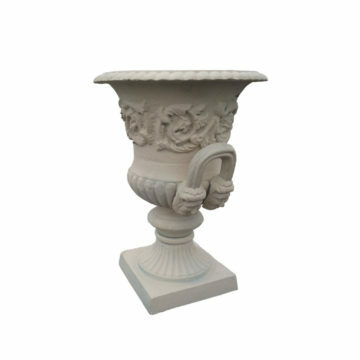 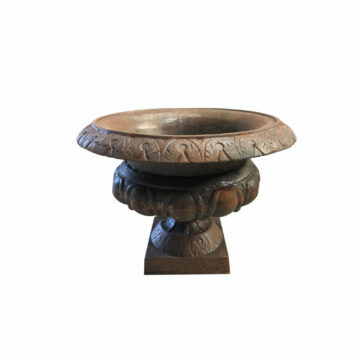 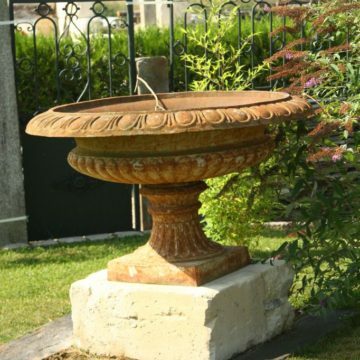 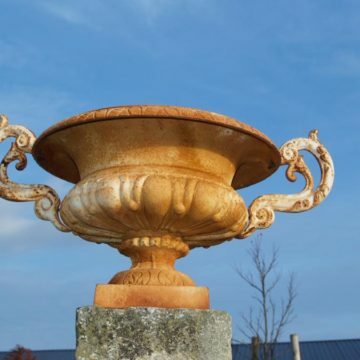 » Occasionally antiques are sourced, but mostly it is good quality replicas in cast iron that we can supply. 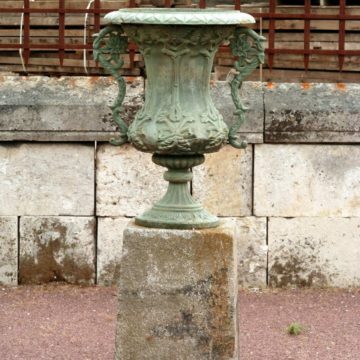 Antique vases and urns over 100 years old are the subject of an application to the Ministry of Culture to issue an export certificate.